THE FIFTH COLLECTION team combines years of luxury goods authentication expertise with the power of new technology and backed by our unconditional guarantee so that you never have to worry. Authentication is our business. Being the market leaders in authentication has always been core to our mission, and we put our money where our mouth is. 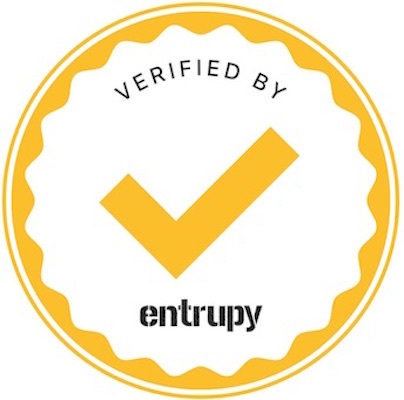 We proudly seed invested and helped develop the world’s most advanced authentication technology powered by artificial intelligence, known as Entrupy. When it comes to authenticity of vintage and preloved luxury fashion, nobody is more capable or more committed to protecting you than we are. We are the experts. A microscopic camera takes 260x magnified surface pictures, providing rich visual data for the software to process and analyze. Using advanced computer vision and deep convolutional neural networks, the results are compared against a database of millions of images. Authentication accuracy is near perfect, learning and improving from each additional scan. An expert human touch meaningfully augments quality control and authentication processes. That is why one of our experts personally authenticates each and every one of our products in person, both qualitatively and quantitatively. Qualitative means our team's sensory experience with specific brands over many years, and includes elements that go beyond appearance such as smell, feel or sound. Quantitative means our proprietary database of technical measures for each brand, model and year to check as we process each item. We proudly offer an unlimited money-back authenticity guarantee: if your purchase is ever determined to be a counterfeit, we will refund you in full. Combined with free 7-day worldwide return and refund policy, why bother shopping anywhere else? We are registered with the Singapore Police Force under the Secondhand Goods Dealers Act, giving you the additional confidence that you're dealing with professionals operating at the highest standards. Please read our Terms of Service and Buyer's Terms for more information.